We're proud to announce our official product launch for GameThrive, your one-stop shop for marketing automation and smart push notifications! 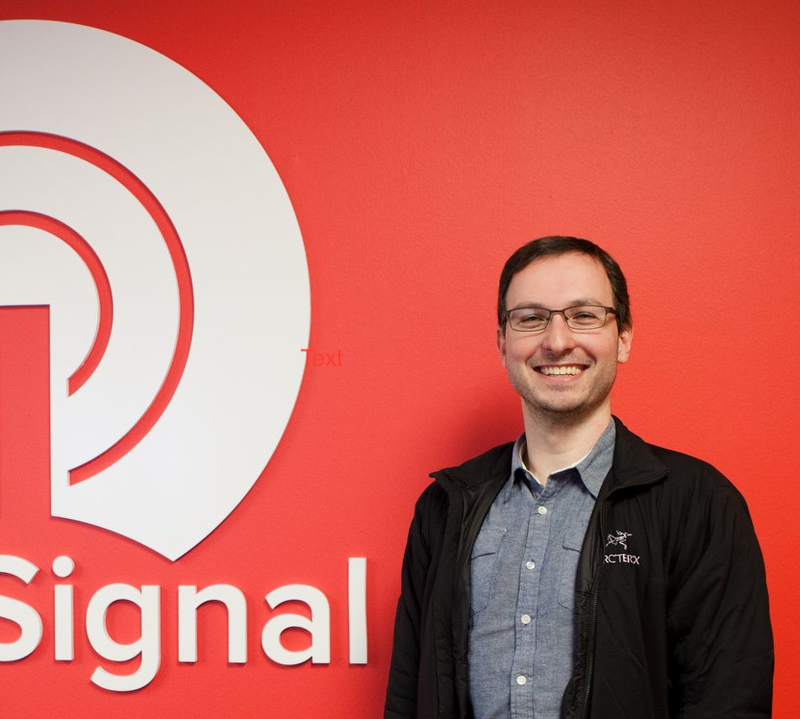 Over the last several months, we've worked hard and under the radar to bring you a reliable service that's easy to integrate with. We've also taken great steps to be compatible with every development platform you may be using. In addition to native iOS/Android/WP8 support, we've partnered with Corona SDK, Marmalade SDK and created SDK's for pretty much every platform known from Cocos2d-x to Unity 3D to ensure you're covered no matter what you develop your games or apps in! While we've got a ton of great features that you'd expect from a Push Notification service, here are some of our latest features! For more info, please refer to our easy-to-use documentation. This leaves only 17 days to upgrade or switch to another provider before your apps break. We would like to welcome you to GameThrive as your new provider for your marketing automation & push notification needs! To make it easier to switch from Urban Airship to GameThrive, we've created our very own Urban Airship importing tool. 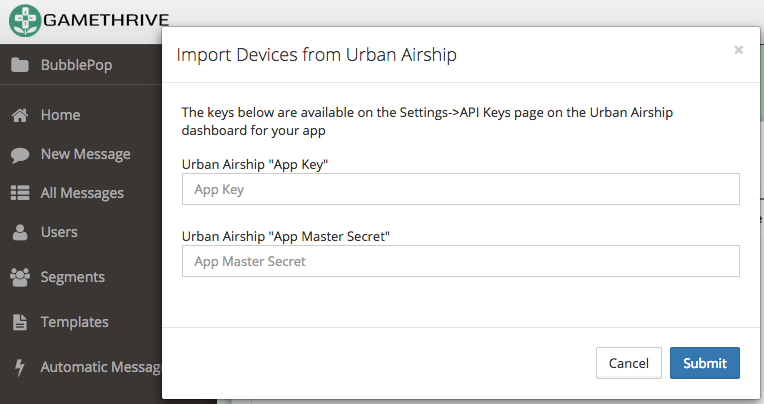 Simply enter your Urban Airship API credentials and our system will automatically export your devices from Urban Airship and import them into GameThrive. Please keep in mind that Apple will no longer be accepting app submissions between 12/22 and 12/29 so now would be a good time to switch to ensure your apps are running with Push Notifications before the new year. For Android 4.1 and greater, we now support customized icons for push action buttons! Simply bundle your icons with your app or link from a url to further customize your push notifications. Notifications can now be cancelled while they are being delivered either through our web dashboard or through a call through our API. The GameThrive dashboard now loads much faster for applications that have over 1 million devices. Several of our SDKs have received improvements with regards to compatibility with other SDK's. Android apps that require Google Play services will now automatically prompt the user to install said services. As always, we highly recommend updating to the latest GameThrive SDK before releasing your app to ensure maximum compatibility. Many more improvements are coming soon. Stay tuned and have a wonderful holiday!